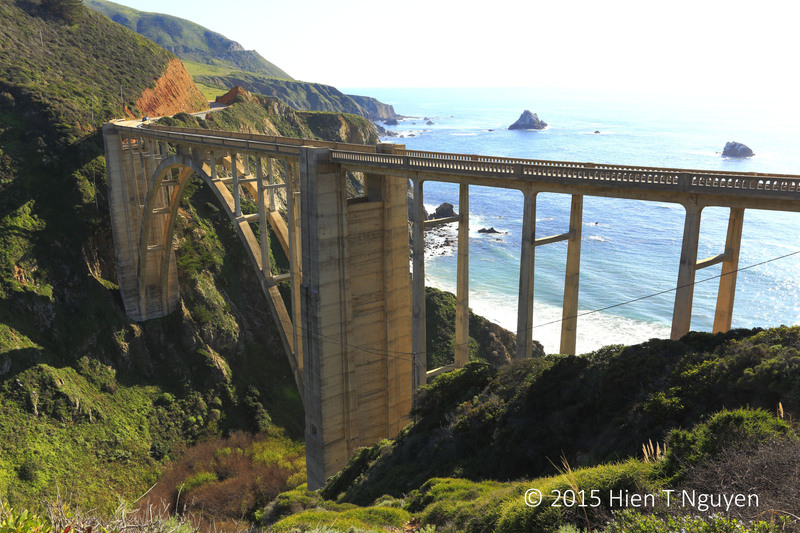 Bixby Bridge was built in 1932 along Route 1 on the Big Sur coastline south of Carmel, CA. 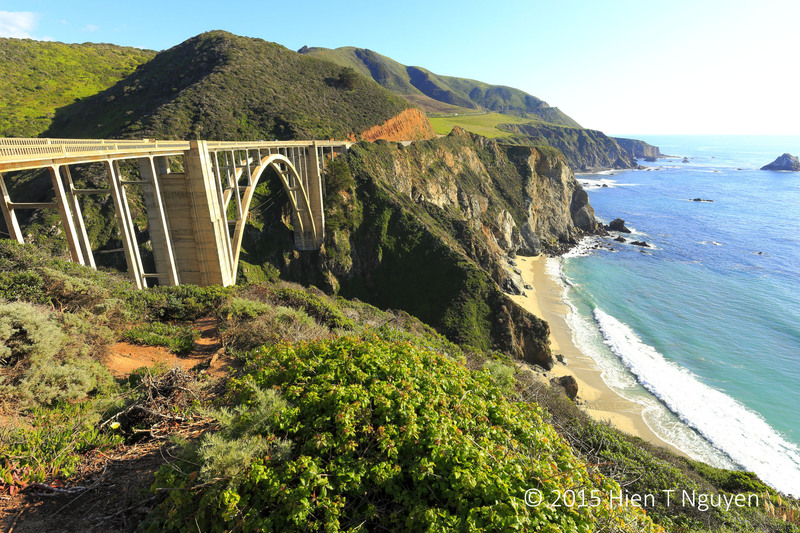 It is one of the most photogenic bridges in the world because it is so handsome and the landscape around it so beautiful. You will probably recognize it in many car commercials and in a few movies. Last week, from the north end of the bridge, the view was breathtaking. 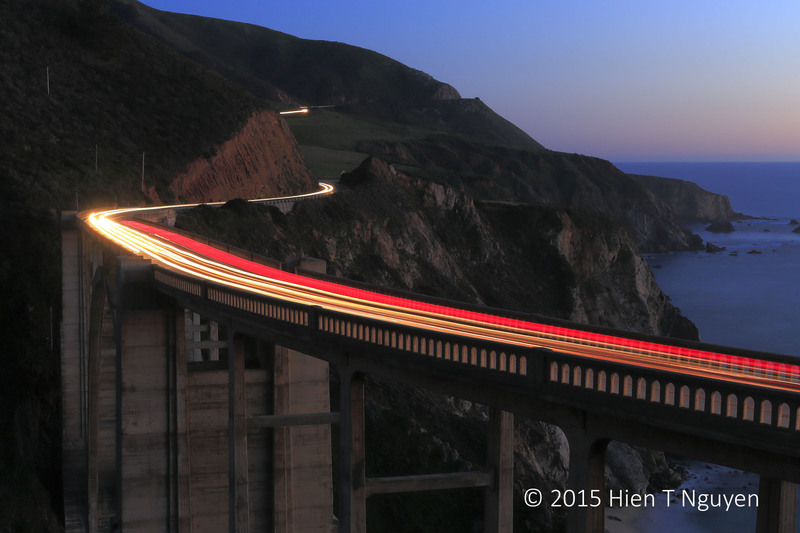 Bixby Bridge, the classic view. I also shot a few pictures from the back side, looking out toward the ocean. 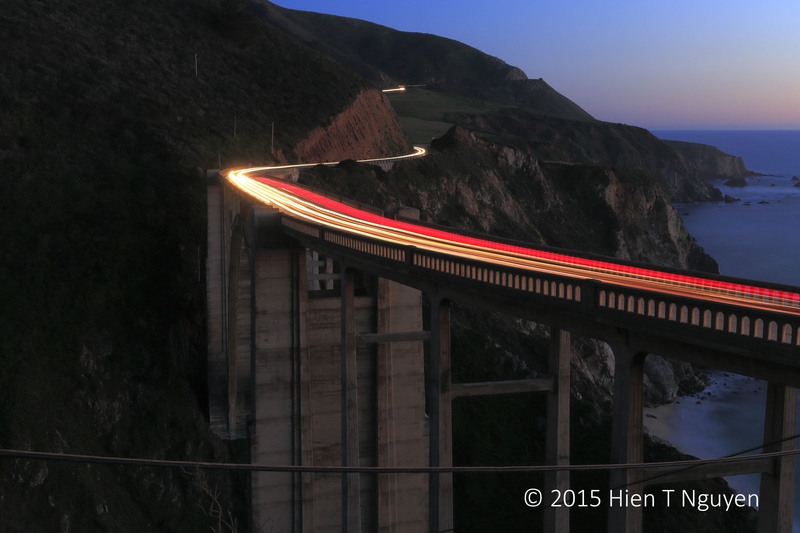 Bixby Bridge, from the hills looking out. Later on that day, I came back after the sun set and took this night shot. The following photo is a cropped version of the above. Great view and the long exposure at dusk adds to the aura! These are jaw dropping but the first one should be on an art gallery wall. Wow! Love that bridge! I mean.. your photos! Thank you Jet. I will have to come back and take more night shots now that I know what is needed: a good vantage point, a sturdy tripod, and a good lens. Thanks. t was the first time I attempted night shots, and that one turned out the best. Fabulous fotos of a ethereal place! Glad you liked it, Mike!